Madhya Pradesh Tourism Development Corporation MD Ashwani Lohani has been appointed as Chairman and Managing Director (CMD) of national carrier Air India Ltd for three years. He will be replacing Rohit Nandan, whose extended tenure ends tomorrow. The Appointments Committee of Cabinet has approved appointment of Lohani, a 1980 batch Indian Railway Service of Mechanical Engineers (IRSME) officer, as CMD, Air India Ltd for a tenure of three years, an order issued by Department of Personnel and Training said. A qualified mechanical engineer, Lohani is a fellow of the Chartered Institute of Logistics and Transport. 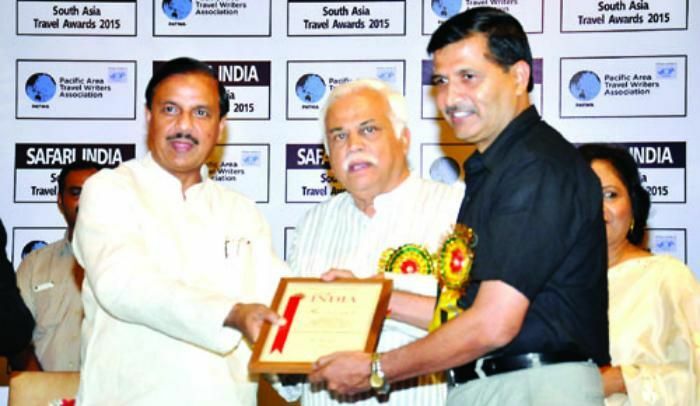 He is the founder member of the Indian Steam Railway Society and member of CII National Council on Tourism. He has authored two books - 'Winning at work against all odds' and a coffee table book 'Smoking Beauties' that came out in March 2004. In January 2006, Lohani also authored a report on 'Rail Heritage and Tourism'. He is also life member of Museums Associations of India and Institute of Rolling Stock Engineers.